Quantum of Solace font here refers to the font used in the poster title of Quantum of Solace, which is a James Bold film in which Bond, in revenge for the death of his lover, sets out to prevent an environmentalist from taking control of a country’s water resource. As for the lettering of the movie title, the Q lettering is apparently customized, but the lettering of other letters resembles a font named Neutra Display Bold designed by Houseind. Neutra Display Bold is available as a commercial font and you can purchase it here. 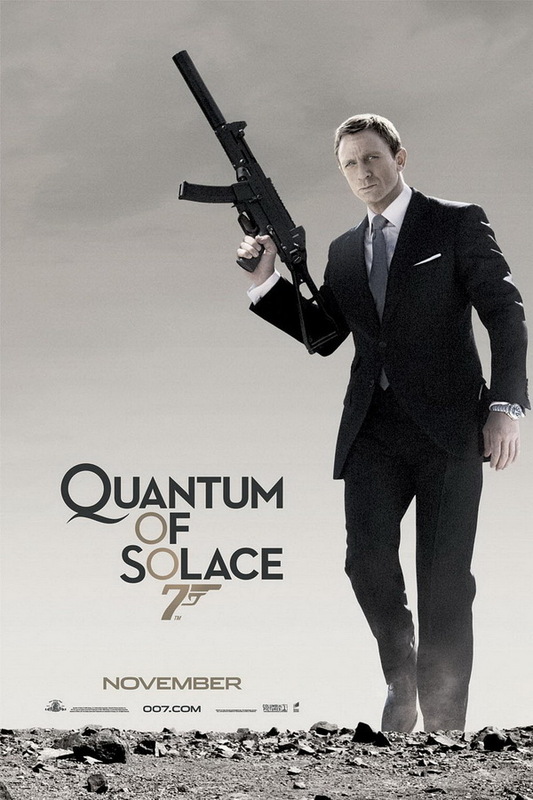 In addition to Quantum of Solace, Neutraface typeface is also used in the following logos, movie posters or album covers etc., including: Circus HalliGalli (TV Show), The Young Victoria, House of Wax, The Oranges, Shake Shack, Native, Once Upon a Time (TV series), Passengers (film), Pollinator (Blondie), A Wrinkle in Time, Oblivion, Shocked, Empty Mansions, Icon for Hire, Skyfall.